Engine/Moteur. 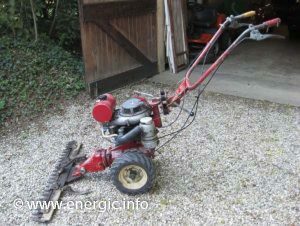 Briggs & Stratton Single cylinder horizontal 206cm, alésage 65.09 m/m x course 61 m/m, 5cv, 4 stroke. 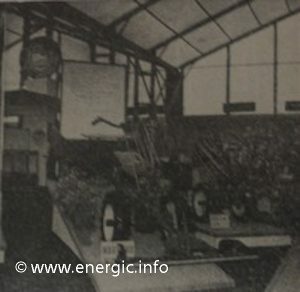 Read more about Energic Briggs & Stratton moteurs history here. 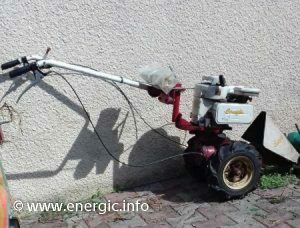 Energic Motofaucheuse EtoileBriggs Stratton 206cm3 5cv. 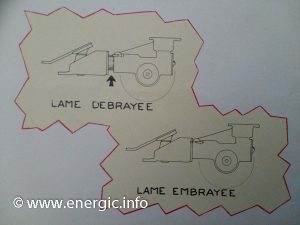 An example of a Energic Motofaucheuse Etoile ILO moteur L73D 2 stroke. Air filter. Paper filter/cartouche humide. 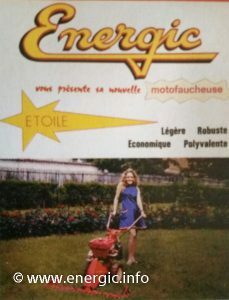 Energic Motofaucheuse Etoile oil fillers. Fuel consumption. 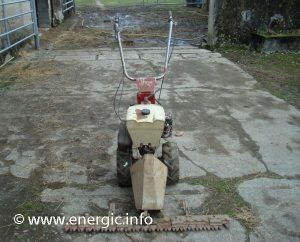 1 to 1.5 liters of fuel per hour dependent upon working conditions. The tank holds approx. 2.5 liters.